I recently read a 2008 obituary in The New York Times for Mildred Loving. 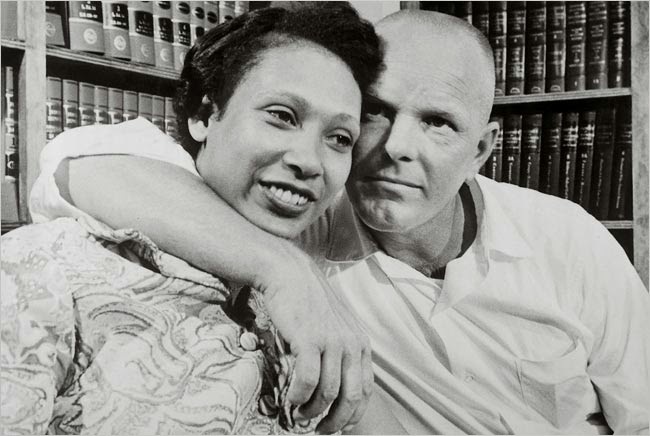 She was one half of the mixed race marriage that lead to the landmark 1967 Supreme Court ruling (Loving v Virginia) overturning state miscegenation laws. The details of the case are terrifying. The couple was in their home, in bed, five weeks after their wedding when the county sheriff and two deputies burst into their bedroom. The couple was arrested. One part of the 2008 obituary made my heart smile: "Mrs. Loving stopped giving interviews, but last year issued a statement on the 40th anniversary of the announcement of the Supreme Court ruling, urging that gay men and lesbians be allowed to marry."